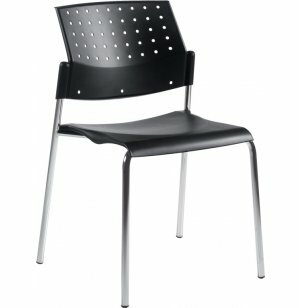 All-purpose Sonic stacking chairs from Global serve a wide variety of seating needs. Made from sturdy polypropylene, the molded plastic seat and back are built to last. Contoured for comfort and style, these stacking chairs sport a modern look that's appropriate for any indoor contemporary setting. Seat surface and frame are highly supportive, durable and easy to maintain. 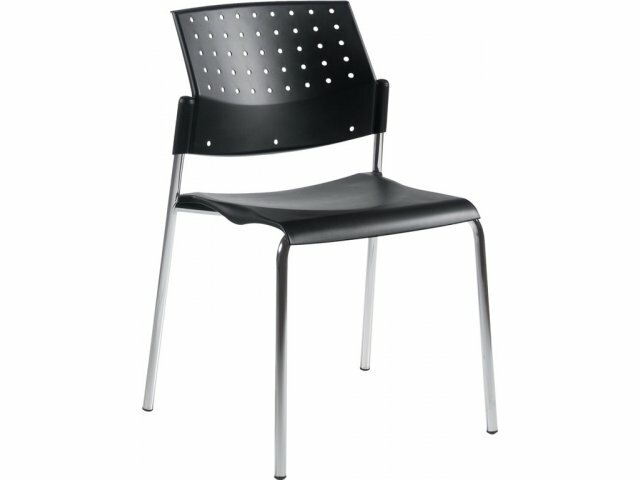 Stacking chairs are ideal for reception areas, office rooms, meeting halls and cafeterias. When it's time to rearrange or clear the space, Sonic chairs can be moved out of the way and stored conveniently in five-high stacks on the floor. Versatile: Made to suit any interior seating needs, from offices to lecture halls to cafeterias. High-quality Construction: Frames are constructed of solid steel as opposed to the typical hollow tubing. Convenient: Chairs can be stacked five-high on the floor for trouble-free storage. Contemporary Style: Seat and back are designed from molded plastic with modern, fashionable contours. Low Maintenance: Plastic seat and back are easy to wipe clean.